Conducting high impact cognitive research can be challenging and complex. 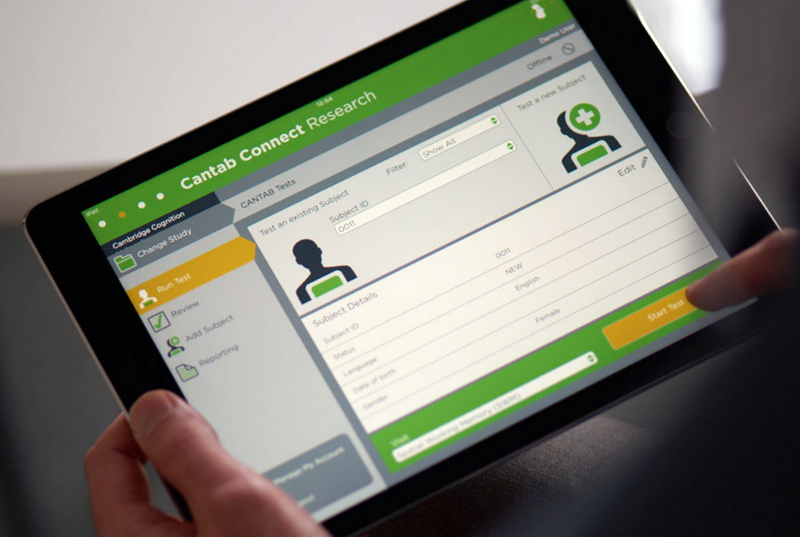 CANTAB Connect Research is the world’s most validated, precise and reliable research software providing sensitive digital measures of cognitive function for all areas of brain research. Delivering leading neuroscience through our secure cloud platform, CANTAB Connect Research is an efficient and easy-to-use system providing insights into behaviours, underlying brain circuits and neurochemical systems and measurement of digital cognitive biomarkers. "Our research requires cognitive measures that are reliable, well validated and quick and easy to administer. CANTAB is the obvious choice." CANTAB Connect Research can be used to assess key cognitive domains via online assessments. By removing the need for participants to travel for their assessment(s), sensitive, specific and valuable cognitive measures can be captured from participant populations on a global scale with ease.